Positive driving rock artist with an old school kick, Palangi fuels a feeding frenzy of contemporary rock. Frank has released two independent releases "Frank Palangi EP' and "I Am Ready EP". Coming April 1st 2014 is a brand-new single called �HOPE� produced by Frank himself with Michael McManus (Saving Abel, 12 Stones) on drums. The single will be set as a free download on iTunes, Amazon, Spotify and more. Since then Frank has continued to achieve new goals with his music. He has received radio airplay/interviews on various national and local market levels with FM/internet stations. Press features including FOX 23NEWS, NewsChannel13, GUITARWORLD, REVOLVER, MUSIC NOW, Young Celebrity News, Mi2n.com, Top40-Charts.com, Albany Times Union, Melodic.net and more. Named -"BEST IN THE REGION" (Glens Falls, NY) placement for best acoustic act in Post Star Newspaper in 2012 (1st) /2011 (3rd). -Placing Top 50 finalist in Grammy Live contest (2012) and various other online contests and rankings placing in top 25 including Younow.com, Ourstage.com, and more. 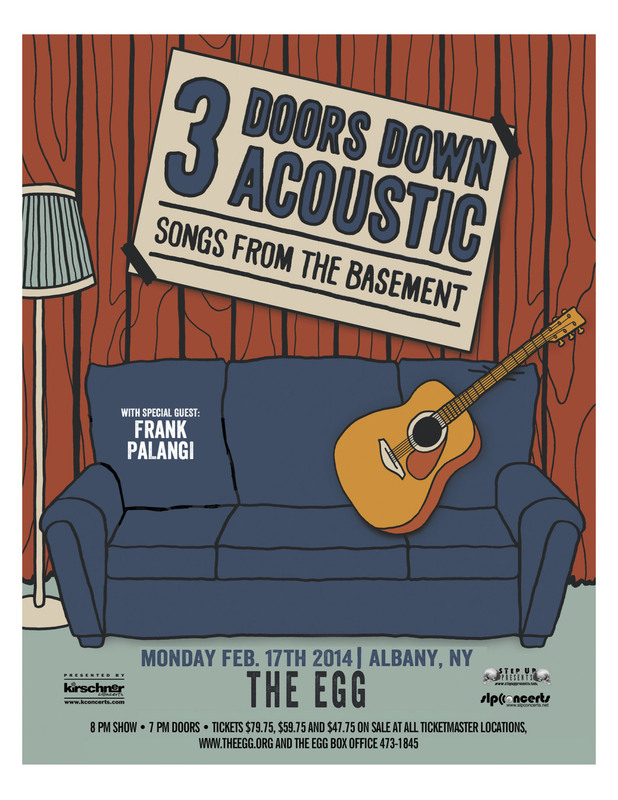 "Frank�s natural talent and certifies that he can write songs that compete with the big boys of rock." Jamsphere Magazine.